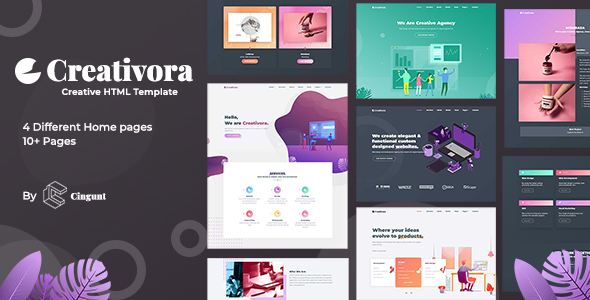 Creativora is a Creative One Page Template. Creativora is a perfect template for creative agencies and business startup. Multiple templates are included in this template with lots of CSS and TweenMax animations, a perfect template for business startups, web studio, and digital agencies. Responsive based on Bootstrap. This is one page for placing your information. All files and code has been well organized and nicely commented for easy to customize. 4 Homepages with different modes and sections. 3 Inner Pages Single Service, Single Project and Works Page.